Convergence is an installation that presents a sonic impression of information saturation, with increased access to information being represented as an increased level of noise. 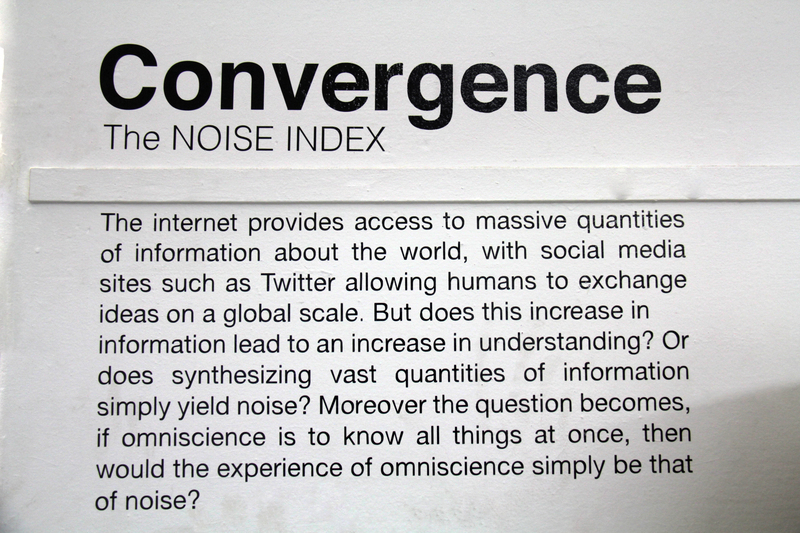 The concept of Convergence was chosen as a metaphor for the implications of data consumption via the Internet. Using a text-to-speech system, real-time trending tweets from Twitter are synthesized into sound, and converged into a central location where the sum of the information may be experienced by an individual. Created in collaboration with Owen Vallis and Jasmin Blasco as part of The Noise Index project. More information here.